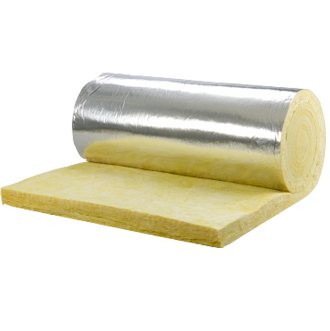 Duct Wrap is used as external insulation on commercial or residential heating or air conditioning ducts. It is suitable for the exterior of rectangular or round sheet metal ducts and spaces or surfaces where temperature and condensation must be controlled. Performed sections of glass fibres bonded with a hear resistant resin, free from shot and coarse fibre, light, damage resistant, easy to handle, cut and fit. The sections are split along their lengths to provide a hinge for ease of fitting. 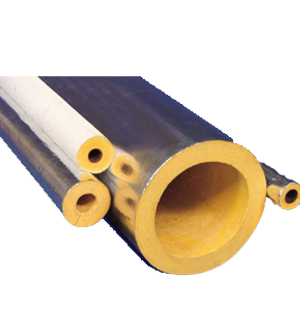 Thermal insulation of steel, copper or plastic pipes operating in temperature up to 230 °C (450 °F) in case of K450 and up to 454 °C (850 °F) in case of K850. Rigid Pipe Covering can be supplied plain or with Glass Reinforced Aluminium Foil/Kraft Paper laminate (FSK), white ASJ, Canvas. DURABILITY: Rigid Pipe Coverings are rot proof, they resist the effects of moisture and will not decompose through continual exposure of the elements. They will not shrink due to the age or temperature variations. They will maintain their thermal properties through the lifetime of the construction. •	THERMAL CONDUCTIVITY: Test in accordance with ASTM C 335. •	NO CORROSION: Does not cause or accelerate corrosion of steel, copper, or aluminium. •	FIRE CLASSIFICATION: Rigid Pipe Coverings have been tested and listed by the Underwriters Laboratory according to UL 723, ASTM E 84 (File 9704).